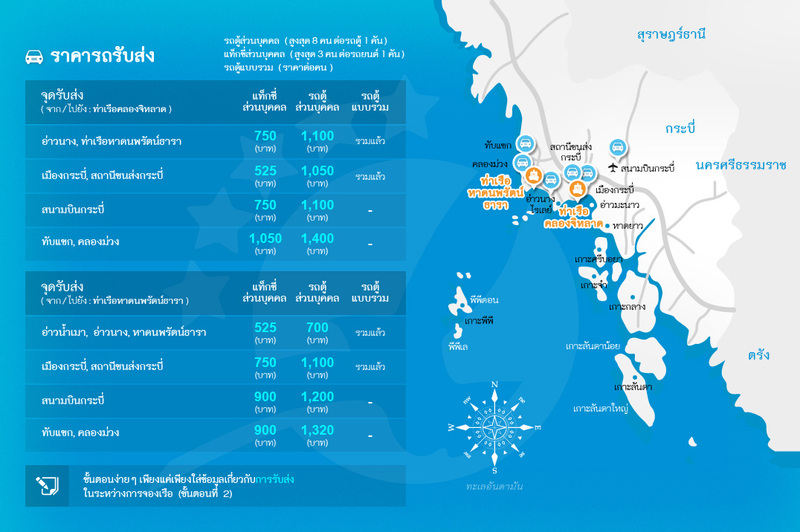 Koh Jum Island is becoming popular, getting there is as easy as taking a Speedboat & Ferry boat from Lanta or Krabi Town. Once you come close to the jetty, a long tail boat transfer will take you straight to the shore, simple and fun. Speedboat & Ferry boats are super safe and mostly new, they count with all the safety equipment for all passengers. Be sure to print your E-Ticket and show it to the pier staff, they will gently guide you to your ferry to let the adventure begin! The transfer process from the speedboat & ferry to a Thai longtail boat is very common, everyone is used to it so there is no need to get confused, keep your belongings with you and get ready to get your ankles wet when arriving at the shore. If you’re staying at a resort, they may arrange their very own long tail to pick you up. 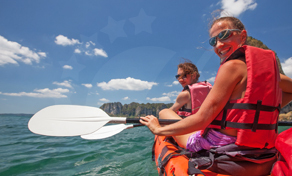 Don't forget to visit our speedboat & ferry Travel Tips page for some useful advice. Have a great time! Ko Jum or Koh Ju is the southern region of a small island located near Krabi Town, it is the southern area of the island as the northern one is known by the name of Koh Pu. This lovely island emanates pure peace and joy everywhere; in here, locals and tourists get along really well. Some resorts are dotted in the bay and beauty is all over the place. A few restaurants and bars are now available on the island; however, travelers rarely come looking for them. The main attraction in Koh Jum is the pleasure of finding peace and relaxation in breathtaking beaches. Swimming is by far the best thing to do on the island, warm water in calm bays make a flawless spot to enjoy the sea. 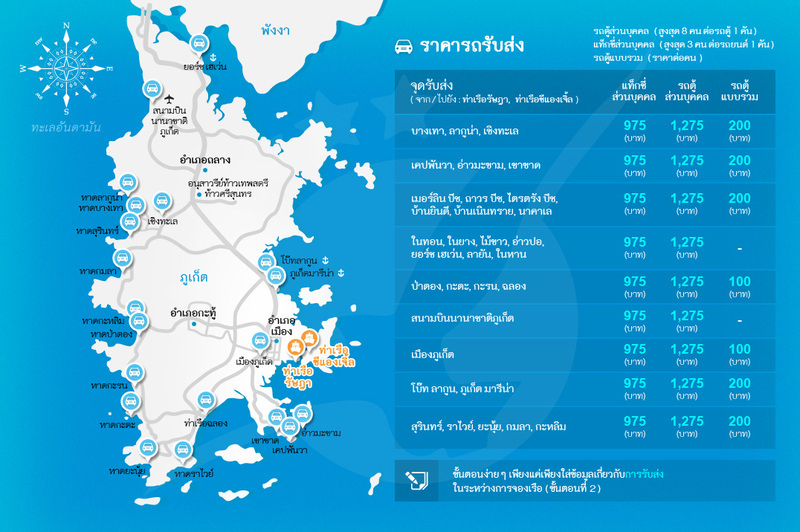 There are six beaches in Koh Jum, the northern ones are better though. 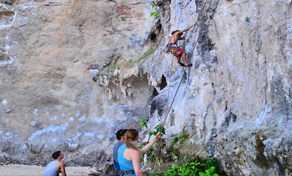 Rock climbing, small walks, soccer matches, and excursions are very good options to discover the island. This type of shacks are the most common accommodation option in the island; however, they are very modern. 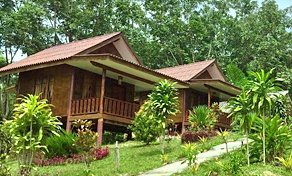 Some resorts are established on the island and offer a wide range of prices based on the commodities of each Bungalow; from king-size beds, balconies, bathrooms, and electricity service, among others. Without any doubts, staying in one of these is an important part of the experience. Every resort counts with its very own restaurant where the staff serves you with a wide variety of dishes, from typical Thai dishes to western meals. 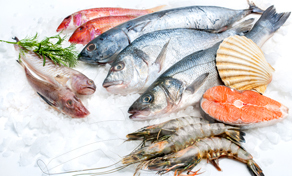 On the other hand, a few restaurants and bars are spread on the island, the ones near the beach serve the freshest fish and seafood on the island. Do not think twice about tasting the tasty Thai flavors. When the tide is high or half, beaches are perfect for swimming and splashing in the bay. Kayaking and paddle boarding are good options too as the sea is very calmed in here. Moreover, low tide makes the best spot to practice snorkeling and staring at the rich sea life around the island.